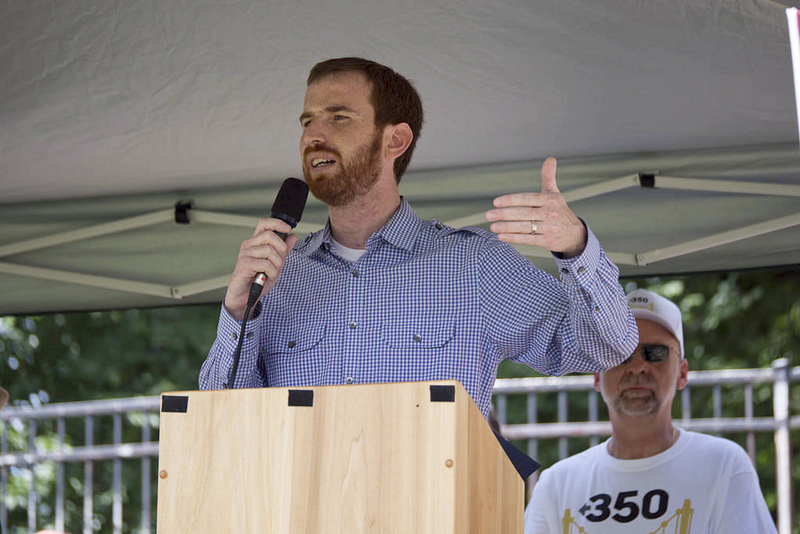 With Pittsburgh City Councilman Dan Gilman’s six piece legislation package, the city could become a fairer place for immigrants, refugees and those with disabilities. The six pieces of legislation, called the City for All agenda, are aimed at making Pittsburgh a more welcoming and inclusive city, and includes a “language access plan,” a city law barring companies convicted of wage theft from receiving city contracts for three years and an ordinance that prohibits denying services to someone based on their citizenship or immigration status. According to Gilman, the legislation package reaffirms Pittsburgh’s responsibility to its citizens and its status as a city for all. “It is the City of Pittsburgh’s duty to serve and protect all of its residents regardless of ethnicity, religious beliefs, country of origin, sexual orientation, differing abilities or status as an immigrant or refugee,” Gilman said in a release. Pittsburgh and other cities in California, Connecticut, New Mexico and Colorado are some of the 300 “sanctuary” jurisdictions across the United States, according to the Center for Immigration Studies. Sanctuary cities typically do not prosecute residents solely for being an undocumented immigrant and refuse to enforce national immigration laws. However, practices vary across cities. Though Pittsburgh has acted as a sanctuary city since 2014, the city has not yet formally passed any laws to ensure protections for undocumented immigrants. On Pitt’s campus, since Donald Trump became the President-elect on Nov. 8, Pitt students and faculty have pushed to declare the campus a “sanctuary campus.” Between 50 and 60 Pitt students gathered in front of the Cathedral of Learning on Nov. 16 as part of the nationally organized campaign National Walk-Outs for #SanctuaryCampus. Nine Pitt professors created a petition — which went online on Dec. 6 — urging Pitt Chancellor Patrick Gallagher and Provost Patricia Beeson to declare Pitt a sanctuary campus. More than 700 Pitt students, alumni and faculty have signed the petition. Although the legislation plan is not the beginning of a Pittsburgh sanctuary city bill, Gilman said, it is meant to create an immediate, tangible impact on immigrants, especially without the official sanctuary city designation. To create the City for All agenda, Gilman worked closely with several faith-based, community, business, and nonprofit leaders as well as organizations who serve immigrants and refugees. “While that term [sanctuary city] is thrown around often, each city is unique, and in collaboration with these organizations who work on the ground, we developed the right package of legislation to address the direct needs of immigrants and refugees in Pittsburgh and reaffirm and strengthen our status as a welcoming city,” he said in an email. According to Herschel Merenstein, Gilman’s legislative assistant, the only City for All bill that currently has a cost is the citywide communications access plan. The plan will incorporate several services, including translation services, interpretative services and website translation in order to better access for immigrants, refugees, people with Limited English Proficiency and people with hearing and visual disabilities to city services. Merenstein said City Council will determine the cost of the program when the plan is presented to them on Dec. 31, 2017. These costs, and others associated with the legislation, will be added to the mayor’s 2018 budget. The Office of Multicultural Affairs, which the legislation calls on Pittsburgh’s chief of police to create, might have a cost associated with it, Merenstein said. The details of the cost for the office, which will focus on fostering relationships and trust between city police and immigrants, refugees, faith-based community, and ethnic groups, will be decided if the City Council approves the legislation. Although not officially connected, parts of Gilman’s legislation echo Mayor Peduto’s June 2015 Welcoming Pittsburgh plan, which plans to help improve the lives of all immigrants by creating more informed, diverse and welcoming experiences throughout the city. This plan includes creating more immigrant youth activities and creating a city office for immigrant integration efforts as well as reviewing, translating and updating major city documents. Welcoming Pittsburgh is a part of Welcoming America, a national, grassroots-driven collaborative that promotes mutual respect through cooperation between foreign-born and U.S.-born Americans. City Council will preliminarily discuss the six pieces of legislation during its Standing Committees meeting next Wednesday, Jan. 25, and then vote on it on Tuesday, Jan. 31.